We’ve all been there. A tasty meal at a restaurant, an enjoyable night out, but then you get home and your stomach takes a turn for the worse. Intense stomach cramps. Vomiting. Diarrhea. Aches and chills. Yours is just one of the estimated 37 million cases of food poisoning that take place within the United States every year. But the fact that you’re one of many doesn’t make it any easier. You spend long hours hugging the toilet, unable to swallow anything more than a trickle of water. The thought of food has you gagging, and your body becomes progressively weaker and more painful the further into this food poisoning episode you go. I’ve had plenty of run-ins with the infamous stomach bug, contracted almost solely from restaurants great and small. The last time I had food poisoning was after eating a delicious pork belly meal at a classy restaurant downtown. The time before that was from a seedy restaurant mistakenly named “Enjoy” in Phuket, Thailand. Sometimes you can pick the establishments where you’re likely to come down with something, and sometimes it hits you out of the blue! A report conducted by the Centers for Disease Control and Prevention (CDC) examined the breakdown of different foods contributing to cases of food poisoning, along with the severity of those cases. Surprisingly, produce appears to have contributed to the largest proportion of food poisoning outbreaks, with meat and poultry in second but taking the lead in food poisoning cases that led to the death of the victim. Key pathogens contributing to these cases of food poisoning include norovirus, salmonella species and Campylobacter species. I’ve had them all, and they’re no joke. But life goes on. There’s simply no point in dreading each successive meal, or shunning restaurants altogether, quadruple washing your leafy greens, and cooking the bejeezus out of your meat. What makes a whole lot more sense is to have a collection of effective, proven home remedies to treat the cause of the food poisoning before it makes your day a whole lot worse. Here are five ways to cure food poisoning, without ever stepping foot in the doctor’s office. When you feel a case of food poisoning coming on, quickly take activated charcoal. I have no qualms in telling you that activated charcoal is the single most powerful anti-pathogenic and anti-toxic compound you can have at your disposal. 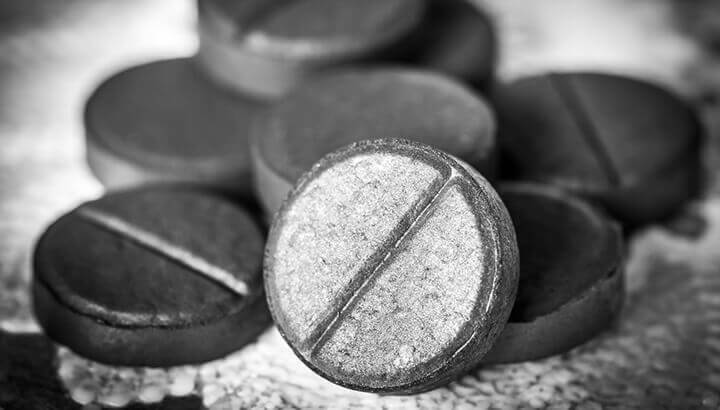 The history of activated charcoal as a therapeutic ingredient is a long and fruitful one, with the first recorded use of activated charcoal for medicinal use dating back to ancient Egypt around 1500 BCE. At this point, records show that it was being used to absorb the unpleasant odors from putrefying wounds and for clearing up maladies of the intestinal tract. Around 400 BCE, Hipprocates wrote about the many therapeutic uses for activated charcoal, including epilepsy, anemia, vertigo and (believe it or not) anthrax. Around the 1700s AD, charcoal became a go-to remedy for curing gangrenous ulcers (tasty! ), and mainstream medical patients were already being treated for poisoning with activated charcoal close to 200 years ago. One 1988 study even went so far as to state that “activated charcoal should be a part of first aid kits both at home and at work.” Such an illustrious healing career cannot go unnoticed. 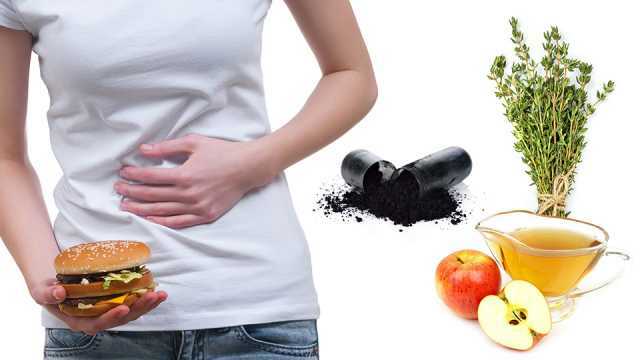 Activated charcoal works by binding to toxins and bacteria within the stomach, preventing them from passing into the bloodstream. This means that, by taking activated charcoal as soon as you realize you have food poisoning, there’s a good chance you can resolve the infection before it becomes too much of an issue. Regularly consuming charcoal after that point may help your body eliminate any residual pathogens and toxins, and speed recovery. The jury is still out on whether activated charcoal works on food poisoning caused by viruses like the norovirus, but anecdotal evidence suggests that it may be effective in these cases as well. Either way, it’s worth having some on hand just in case! It seems like people are quick to recommend apple cider vinegar for any ailment under the sun these days. But while I don’t necessarily agree with some of the more outlandish claims regarding apple cider vinegar’s medicinal powers, it certainly packs a punch when it comes to treating food poisoning. In the past, whenever I’ve felt a sore stomach coming on, I’ve always poured around a tablespoon of raw apple cider vinegar into a glass of water and sipped it until the stomach ache miraculously disappears. Perhaps this is the same way in which apple cider vinegar helps to treat stomach infections — the combination of acetic acid and bioactive yeasts and bacteria possibly work synergistically to combat the source of food poisoning and restore order within the stomach. Whatever the reason, apple cider vinegar is a powerful tool in your fight against food poisoning. Research has found that thyme and its essential oil can treat food poisoning. There’s no doubt that the herb thyme, and in particular thyme essential oil, is a powerful natural remedy for food poisoning. I’ve used thyme essential oil in the past to rid myself of stubborn intestinal parasites, and that same function can be put to good use in treating pathogens related to food poisoning. 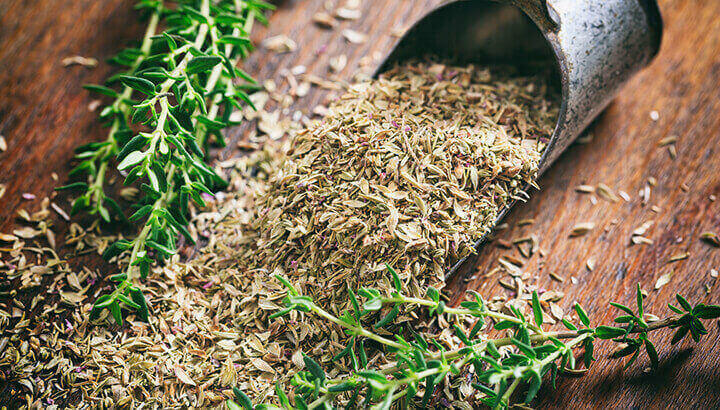 In a study that compared the antimicrobial abilities of three herbs against common food-borne pathogens, thyme was found to be the most powerful by far. Another study showed that thyme essential oil had a powerful inhibitory effect against staphylococcus and salmonella species, while a third study found that thyme was one of the most effective anti-bacterial essential oils out of 21 different herbs. It’s hard to argue with those odds. If you’re planning on ingesting thyme essential oil to treat your food poisoning, however, do your research and make sure you’re using therapeutic-grade oil. Research shows that bergamot, in both essential oil and vapor form, is an effective way to combat foodborne pathogens like Campylobacter, listeria, staphylococcus and E. coli. For this reason, having some bergamot essential oil on hand to compliment your antimicrobial thyme oil may be a good idea. As this study demonstrates, simply breathing in bergamot vapors may also help to treat a stomach bug, so diffusing bergamot essential oil is also a good option. Garlic is another great option for treating food poisoning naturally. The research certainly agrees, with a study published in the Journal of Applied Microbiology showing that all common foodborne pathogens were inhibited by garlic, particularly in the case of E. coli. If you can stomach it, roughly chop a clove of garlic and swallow it raw. Otherwise, slip it into a small amount of food, but be sure not to cook it as this denatures some of the antimicrobial compounds in garlic. Hey Buddy!, I found this information for you: "5 Ways To Cure Food Poisoning Without Going To The Doctor". Here is the website link: https://www.thealternativedaily.com/ways-to-cure-food-poisoning-without-going-to-the-doctor/. Thank you.